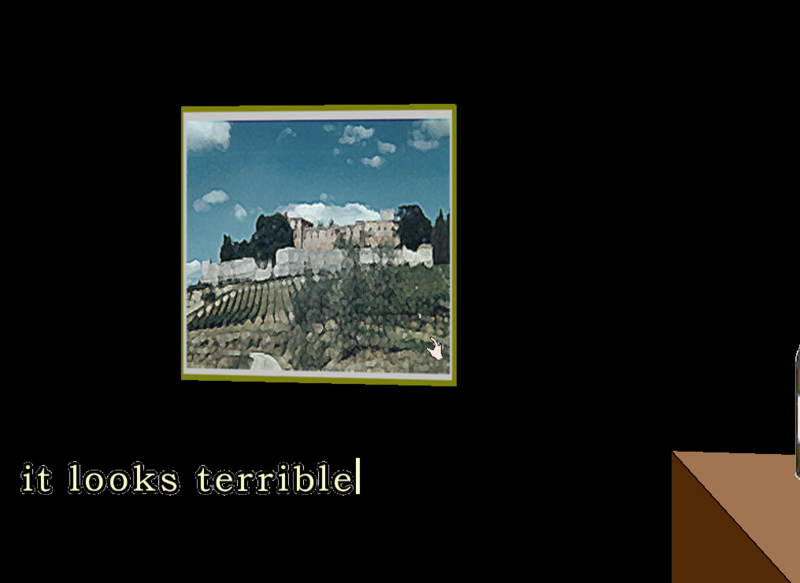 Façade is an artificial intelligence-based art/research experiment in electronic narrative – an attempt to move beyond traditional branching or hyper-linked narrative to create a fully-realized, one-act interactive drama. Integrating an interdisciplinary set of artistic practices and artificial intelligence technologies, we have completed a five year collaboration to engineer a novel architecture for supporting emotional, interactive character behavior and drama-managed plot. 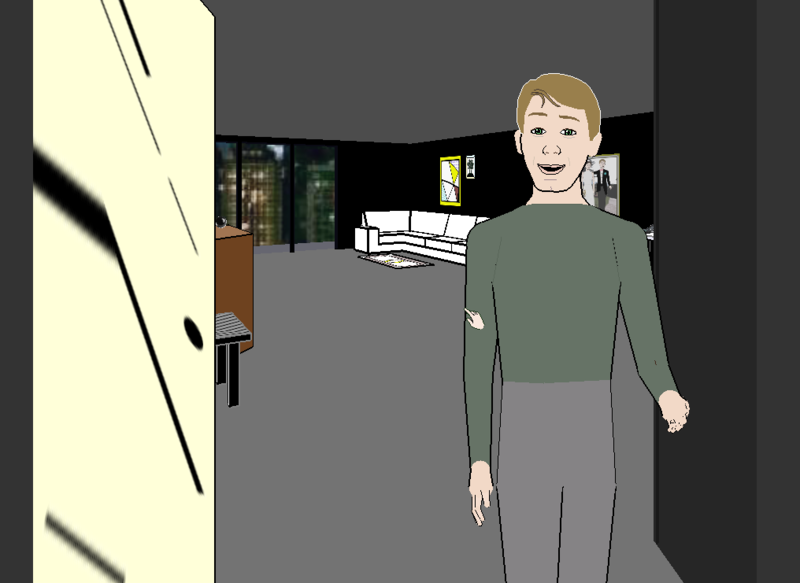 Within this architecture we have built a dramatically interesting, real-time 3D virtual world inhabited by computer-controlled characters, in which the player experiences a story from a first-person perspective. 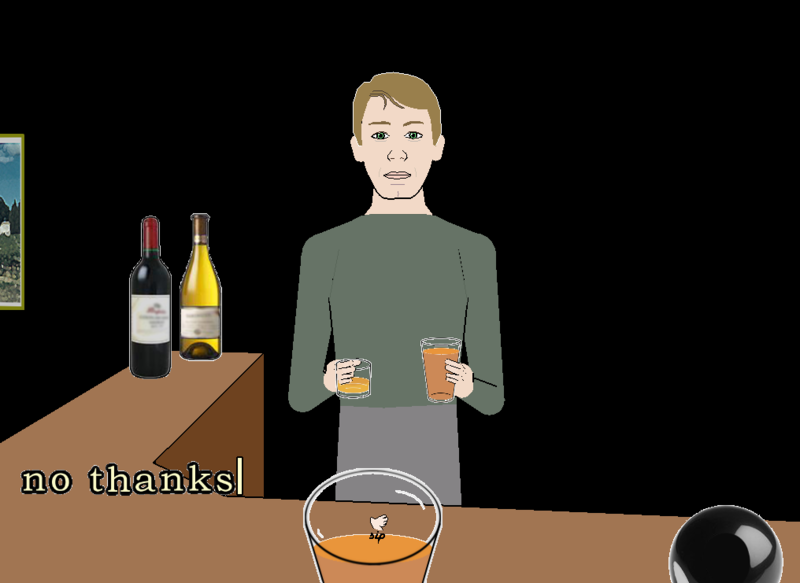 Façade was publicly released as a freeware download / cd-rom in July 2005. You, the player, using your own name and gender, play the character of a longtime friend of Grace and Trip, an attractive and materially successful couple in their early thirties. During an evening get-together at their apartment that quickly turns ugly, you become entangled in the high-conflict dissolution of Grace and Trip’s marriage. No one is safe as the accusations fly, sides are taken and irreversible decisions are forced to be made. By the end of this intense one-act play you will have changed the course of Grace and Trip’s lives – motivating you to re-play the drama to find out how your interaction could make things turn out differently the next time.